Join the conversation about philanthropy and tzedakah in the 21st century at www.WhereDoYouGive.org. 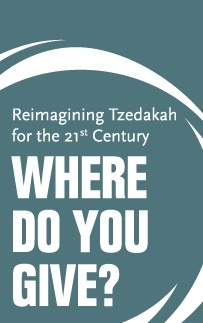 For a chance to win a $2500 cash prize and the opportunity to travel with AJWS, submit a design to the tzedakah box design contest. Only 33 days left to submit an entry!